We may obtain information about your general internet usage by using a cookie file which is stored on your browser or the hard drive of your computer. Cookies contain information that is transferred to your computer hard drive. They help us to improve our Site and to deliver a better and more personalised service. If you would like to delete any cookies that are already on your computer or device please refer to instructions for your file management software. Please note that by deleting our cookies or disabling further cookies you may not be able to shop the online store as the session cookies retain your wardrobe information. For further information about controlling or deleting cookies visit www.aboutcookies.org. If you have any queries concerning your personal information or any questions on our use of the information, please contact usby emailing customerservice@shewhoshops.co.uk and we will be happy to help. The way you use our website, http://www.shewhoshops.co.uk/, will be governed by the Notices and Disclaimers we’ve outlined below. We do our best to ensure that the information on the website is accurate and helpful at all times. However, we cannot ultimately guarantee the accuracy of all information nor be held liable for any decisions/actions you take based on the information provided, except where further agreement has been made, in writing by ourselves, to you. Any link (whether it is a hyperlink or other referral device) used on the website is provided solely for the use and convenience of the visitor. The link does not represent any endorsement or recommendation by us and does not mean that we have any direct association with the linked website. We are not responsible for the content of any websites where a link to www.shewhoshops.co.uk exists, nor for the legal consequences of your entering into any contracts with the third parties that provide these website links and we do not accept any liability for any loss, damage, expense or costs incurred by you as a result. We will not be liable for any loss, damage, expense, costs, delays or other liability whatsoever (including without limitation any financial losses such as loss of profit) which you may incur as a result of any event beyond our reasonable control (including without limitation any failure of transmission, communication, computer or other facilities or your inability to access our website for any reason or any failure, error or delay in the sending or receiving of any notice or communication or instruction through the post or any electronic medium). Nothing within these conditions operates so as to exclude, limit or restrict our liability for death or personal injury. Your statutory rights as a consumer are unaffected. All Intellectual Property Rights and goodwill in or relating to the contents of our website belong to either ourselves or to our suppliers. In particular, the trade marks displayed are registered and nothing contained in these conditions or the website should be construed as granting by implication, estoppel, personal bar, or otherwise, any licence or right to use any of the trade marks without our permission. However, copying and printing of those web pages which contain the trade marks is permitted within the scope of the licence contained at below. 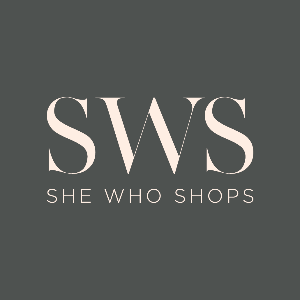 We operate the website http://www.shewhoshops.co.uk/. We are She Who Shops Ltd, a company registered in England and Wales under company number 8516083 and with our registered office at 100 High Street, Whitstable, Kent CT5 1AZ. Our main trading address is 43 High Street, Whitstable, Kent CT5 1AP. For any business related enquiries, please email us at customerservice@shewhoshops.co.uk or call us on 01227 273555. Although we have made every effort to be as accurate as possible, because our products are handmade, all sizes, weights, capacities, dimensions and measurements indicated on our site have a slight tolerance. After you place an order, you will receive an e-mail from us acknowledging that we have received your order. However, please note that this does not mean that your order has been accepted. Our acceptance of your order will take place as described in our ‘Payment’ and ‘Card Security’ sections. If we are unable to supply you with a Product, for example because that Product is not in stock or no longer available or because we cannot meet your requested delivery date or because of an error in the price on our site as referred to in our ‘Prices of Products and Delivery Charges’ section, we will inform you of this by e-mail and we will not process your order. If you have already paid for the Products, we will refund you the full amount including any delivery costs charged as soon as possible. If you are a consumer, you have a legal right to cancel a Contract [under the Consumer Contracts (Information, Cancellation and Additional Charges) Regulations 2013] during the period set out below. This means that during the relevant period if you change your mind or decide for any other reason that you do not want to receive or keep a Product, you can notify us of your decision to cancel the Contract and receive a refund. Advice about your legal right to cancel the Contract is available from your local Citizens’ Advice Bureau or Trading Standards office. Your Contract is for either of the following:one Product which is delivered in instalments on separate days.multiple Products which are delivered on separate days. Multiple products which are delivered on separate days.The end date is 14 days after the day on which you receive the last instalment of the product or the last of the separate products ordered. Example: if we provide you with a Dispatch Confirmation on 1 January and you receive the first instalment of your product or the first of your separate products on 10 January and the last instalment or last separate product on 15 January you may cancel in respect of all instalments and any or all of the separate products at any time between 1 January and the end of the day on 29 January.Your contract is for the regular delivery of a product over a set period.The end date is 14 days after the day on which you receive the first delivery of the products. To cancel a contract, you just need to let us know that you have decided to cancel. The easiest way to do this is to e-mail us at customerservice@shewhoshops.co.uk. If you are e-mailing us or writing to us please include details of your order to help us to identify it. If you send us your cancellation notice by e-mail or by post, then your cancellation is effective from the date you send us the e-mail or post the letter to us. For example, you will have given us notice in time as long as you get your letter into the last post on the last day of the cancellation period or e-mail us before midnight on that day. If a product has been delivered to you before you decide to cancel your contract then you must return it to us without undue delay and in any event not later than 14 days after the day on which you let us know that you wish to cancel the contract. Please see our RETURNS page for all information about our authorised carrier and how to arrange a return. If we have offered to collect the product from you, we will collect the products from the address to which they were delivered. We will contact you to arrange a suitable time for collection. We will contact you with an estimated delivery date, which will be within 3 working days after the date of the Dispatch Confirmation (the date on which we e-mail you to confirm our acceptance of your order). Occasionally our delivery to you may be affected by an event outside our control. You own the products once we have received payment in full, including any applicable delivery charges. If you do not wish to cancel your order straight away, or do not have the right to do so under the clause mentioned above, you can give us a new deadline for delivery, which must be reasonable, and you can cancel your Order if we do not meet the new deadline. If you do choose to cancel your order for late delivery under the above clauses, you can do so for just some of the Products or all of them, unless splitting them up would significantly reduce their value. If the products have been delivered to you, you will have to return them to us or allow us to collect them, and we will pay the costs of this. After you cancel your order we will refund any sums you have paid to us for the cancelled products and their delivery. The prices of the products will be as quoted on our site at the time you submit your order. We take all reasonable care to ensure that the prices of products are correct at the time when the relevant information was entered onto the system. However, until confirmation of an order is sent to you we reserve the right to refuse an order for the price stated on the website. The price of a product does not include delivery charges. Our delivery charges are as advised to you during the checkout process, before you confirm your order. To check relevant delivery charges, please refer to our DELIVERY section. We must receive full payment of the price of the goods before we can accept any orders. Where you select to pay by credit or debit card we will process the payment at the time of preparing your goods for despatch. If you have paid by Paypal you will be charged on order placement. For orders placed within the EU, all prices shown at www.shewhoshops.co.uk include the applicable VAT rate. If your order is being delivered outside of the EU, VAT will not be charged, however the selling price will remain the same. For any queries around VAT, we recommend contacting HM Customs on 0845 010 9000, or for more information you can also visit hmrc.gov.uk/vat. The total cost of the order is the price of the products ordered plus any delivery charges. We take your security and privacy very seriously, and do everything that we can to ensure our transaction process is safe, and your personal information is secure. Izettle are our Payment Service Provider. This means that your card payment details are kept fully safe and secure. Our total liability to you in respect of all losses arising under or in connection with the contract, whether in contract, tort (including negligence), breach of statutory duty, or otherwise, shall in no circumstances exceed 100% of the price of the products. If you have made any payment in advance for goods that have not been delivered to you, we will refund these amounts to you. You may cancel a contract affected by an Event Outside Our Control. To cancel please contact us. If you opt to cancel, you will have to return any relevant products you have already received and we will refund the price you have paid, not including any delivery charges. You may write to us at She Who Shops Ltd, 43 High Street, Whitstable, Kent CT5 1AP or by emailing us at customerservice@shewhoshops.co.uk. You may only transfer your rights or your obligations under these terms to another person if we agree in writing. [However if you are a consumer and you have purchased a product as a gift, you may transfer the benefit to the recipient of the gift without needing to ask our consent]. This contract is between you and us. No other person shall have any rights to enforce any of its terms, whether under the contracts (Rights of Third Parties) Act 1999 or otherwise. However, if you are a consumer, the recipient of your gift of a product will have the benefit of our returns policy shown in our ‘YOUR CONSUMER RIGHT OF RETURN AND REFUND’ section (but we and you will not need their consent to cancel or make any changes to these Terms). Your acceptance of the Terms and Conditions is given when you make a purchase from http://www.shewhoshops.co.uk. It is important to read these Terms and Conditions carefully before buying goods from our website. If you have any questions about any aspects of our terms and conditions please email us at customerservice@shewhoshops.co.uk.